In today’s time, online marketers are facing tricky issue who are spending a lot of time demystifying Search Engine Optimization (SEO) practices along with new jargons and latest algorithm updates. With latest advancing technologies, it is imperative that one needs to stay updated on a regular basis, as something that was working a year ago in SEO may no longer apply today. So, let’s take a look at some of the SEO mistakes that you need to avoid at all costs. With regards to SEO, keyword cannibalization happens when there are two or more pages that are competing for the same keywords that you have targeted. This usually happens when one does not realize that they are uploading something that already exists with duplicate titles, and more so when an inexperienced SEO professional try to optimize different pages for the same keyword. They do it thinking it will make their website the more authoritative for that keyword, but that is not the case, it is the exact opposite. When users find irrelevant content for that keyword and they are left unhappy, then the search engines are unhappy and it could spell disaster for your website. Brands have this misconception that SEO activity for a new website will yield instant results. When the site has no history at all with regards to a search engine, it is highly impossible to have immediate results. It needs both organic and inorganic SEO activity to make your site visible first and then the results will yield. So starting off with a PPC campaign can be a good activity for your website. Then after a couple of months, your organic SEO activity will start to kick in and will give you the intended result, depending on how robust your SEO strategy is. Yes, Google does not give you a penalty for duplicate content that is on your website, but it does not mean that you can run your website filled with duplicate content. We see this duplication of content a lot of today’s e-commerce websites, where title and descriptions are almost similar and this does not bode well for your website. Users search for a particular thing on the web that offers uniqueness and one which has the right content to go along with. So, create unique categories and write new content and make sure it addresses your user’s needs. Many research reports on user behavior on internet suggests, that if your site speed is slow then there is a higher chance that the user may never return to your website. According to Google’s Site Performance for Webmasters video, they state that 2 seconds is the minimum threshold for an e-commerce website acceptability, but Google aim their site speed at under half a second, under half a second is almost the speed of the blink of an eye. In fact, Amazon has discovered that for every one-second delay, their conversions dropped by 7%. So, if you sell $100k per day, that’s an annual loss of $2.5m. So, if your site speed is slow, it inadvertently affects your SEO activity. According to latest Google report, it states that more Google searches are taking place on mobile devices than on desktop computers in 10 countries including the US and Japan. When more searches are happening on various hand-held devices, it makes sense that your website has a responsive web design that caters all these platforms, if not, then you are missing out on a huge potential of new customers to your website. Hence, having a responsive web design should be a top priority, if you do not have one at this point. Whether it is your main website or a corresponding blog site, links are like an oasis in the middle of a desert. It gives your thirsty users more information, and can help build trust on the authority of your website. You may have incorporated many links in the past as an SEO activity, but you need to conduct regular audits every quarter to ensure all the links inserted in your website are active and are not broken. Broken links are of no use, and these things happen over a period of time, when sites change or pages go down. A redirect is where you send a user from one URL to another URL within or outside of your website. Many so called SEO experts, play around their content on the website, by having redirects, there are many reasons why you use redirects, but it is very important that you do not have the wrong type of redirect which sends the user to what they never intended to. Ensure you always implement SEO best practices, it takes time to get it right the first time, but once you do the results will be long term. But, make sure you keep a check on the website and conduct audit at regular intervals to make sure the site is spick and span. By correcting these simple avoidable mistakes you can ensure your SEO strategy is comprehensive and rewarding. Do let us know in the comments section if we have missed out on any SEO mistakes and let’s make this list even more comprehensive. Ravi Kumar comes with 15+ years of experience in digital marketing services. He has worked for an SEO agency for 10 years and handled 100+ clients in multiple segments including travel, education, software, e-commerce, real estate, insurance, sports, technology, electronics, and much more. Currently, he is working as a digital marketing manager for a Bangalore based IT company. 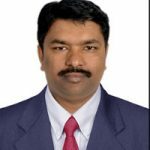 He’s a successful consultant with an MBA degree in Information Technology (IT) and also additionally certified with ITIL and PRINCE2.